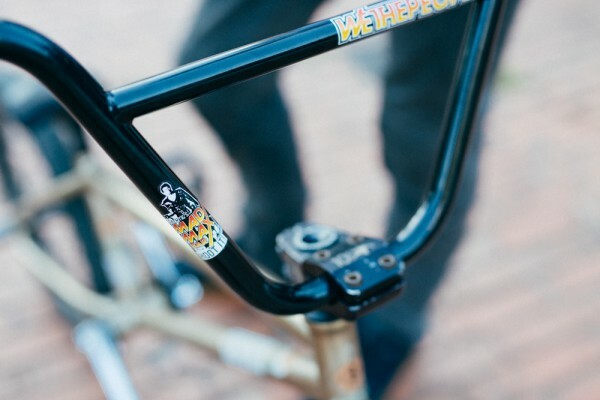 Max Gaertig Whip Check — WETHEPEOPLE BIKE CO.
Max Gaertig is sort of an anomaly in the BMX world. He does not participate in social media, does not post instagram photos or read the feeds on Facebook or tag himself at airports. He just never caught on to it. Max was also doing multiple kinds of grind and whip variations about 8 years ago and now when he puts an edit out, it looks a lot like he's a 'modern street rider' and I guess for some he is, as he always was. Maybe Max just never understood the time he's in right now, either too far ahead or too far behind, but always in an original way. Regardless though, he can mix an incredible gin and tonic in the back of a moving vehicle. Max keeps it real with two steel pegs. A true classic, revamped for 2015. Max is now riding the taller 9.5" version of his signature Mad Max bar. The Envy fork is a favouirte of most of our team. Max has an Animal front wheel and an Eclat Ridgestone tire. Max runs the C.R.E.A.M frame in big boy 21.25". C.R.E.A.M frame looking good in Black Titan. That's a Team Pivotal post and a Carve seat. Nice and out of the way, perfect for whips.